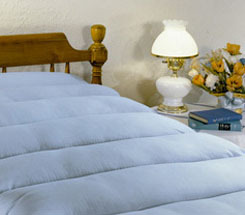 Texas Medical Supply provides premier hospital beds and accessories for home use. 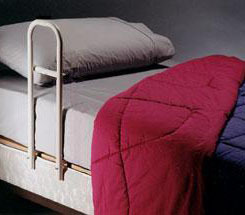 Our hospital bed rentals are available for a minimum of one month, and beds can accommodate up to 600 pounds. Our services include same- or next-day delivery. A specialist will set up the bed and explain how to keep it clean, as well as provide a pamphlet with instructions on how to operate it. In a full electric bed, patients have control of electric functionalities that include leg and back positioning. The height of the bed is also controllable. Semi-electric beds electronically control legs and the back and include a manual crank lift that adjusts the height of the bed frame for convenient assistance from a caregiver. Full and semi-electric beds give the patient control of their personal comfort and positioning. Contact us for a full range of hospital beds and accessories available for delivery in Houston including Spring Valley, Sugar Land, Missouri City, Mission Bend, Katy, Spring, Pearland, Humble, Pasadena and League City.